Vegetable seed provider East-West Seed topped a global survey which measured and compared efforts of the world’s leading seeds companies to make high-quality seeds more accessible to smallholder farmers. 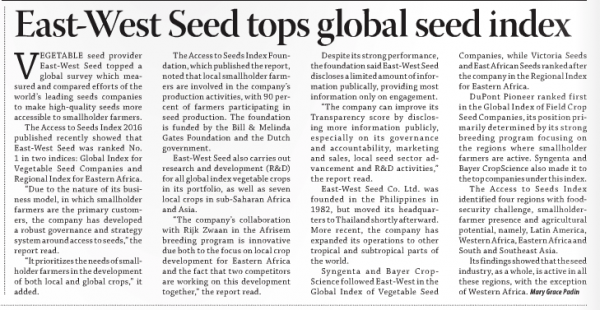 The Access to Seeds Index 2016 published recently showed that East-West Seed was ranked No. 1 in two indices: Global Index for Vegetable Seed Companies and Regional Index for Eastern Africa. 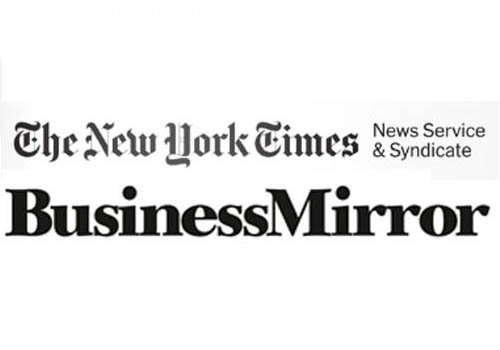 “Due to the nature of its business model, in which smallholder farmers are the primary customers, the company has developed a robust governance and strategy system around access to seeds,” the report read.